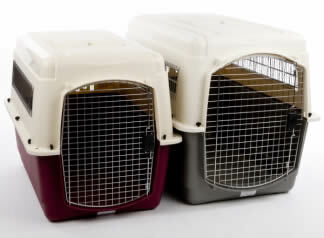 Selecting the correct size crate will help ensure that your pet will be accepted by the airlines and assure your pet will have a comfortable trip. Please see the measuring your pet tab for additional information on determining proper crate size. 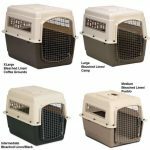 It is best to purchase your shipping kennel several weeks ahead of your pet’s trip so that you have time to acclimate the pet to it’s crate. 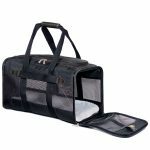 Our staff can give you many tips on crate training which will significantly reduce the stress of travel for your beloved pet. During travel it is best to include a personal item of a family member that has been handled and not washed so the pet travels with a familiar scent.